We operate a state of the art 80 inch sealed CO2 laser. 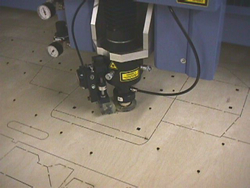 It's ability to hold precise kerf width and verticality make it the right laser for our application. We bend our rule with a steel rule processor that produces consistent results with remarkable speed. Our most recent acquisition is a new counter cutter. We believe we produce superior counters. 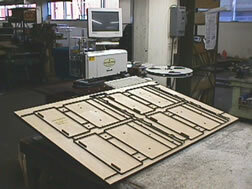 Our Cad Department has worked with our Die Cutting operators to refine counter designs that mount easier and run faster, even on light weight stock. With this technology, our diemakers are able to produce our customer's cutting and stripping tools within the tight timelines required in today's marketplace.